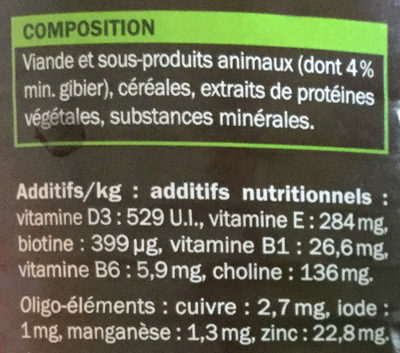 Vitamin E 28.4 mg ? ? ? 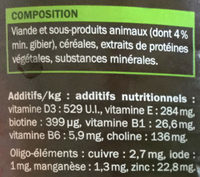 Vitamin B1 (Thiamin) 2.66 mg ? ? ? Vitamin B6 (Pyridoxin) 0.59 mg ? ? ? 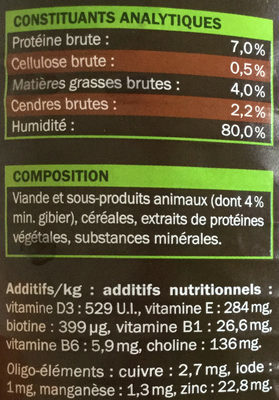 Biotin 39.9 µg ? ? ? Zinc 2.28 mg ? ? ? Copper 0.27 mg ? ? ? Manganese 0.13 mg ? ? ? Iodine 100 µg ? ? ? Product added on July 9, 2017 at 6:25:04 PM CEST by foodviewer. Last edit of product page on January 27, 2019 at 6:14:08 PM CET by psine.